QSC LLC has acquired Ultra-Stereo Labs, Inc. (USL). The acquisition will allow QSC to offer an industry-leading portfolio of audiovisual processing and B-chain solutions under the QSC and USL brands for the motion picture exhibition industry. Both companies are well established in the global cinema market. QSC and USL product philosophies are also compatible: both emphasize high-quality, high-value products at a reasonable price, backed by best-in-class service and product support. QSC is looking forward to joining forces with Cashin as an integral part of the product development team for USL branded products. Founded in 1968, QSC has evolved from an audio amplifier manufacturer to a full audio systems supplier for the live sound, systems integration, and cinema industries. Based in Costa Mesa, CA, QSC is a supplier of power amplifiers for the global cinema industry, and also a leader in signal processing and loudspeakers. 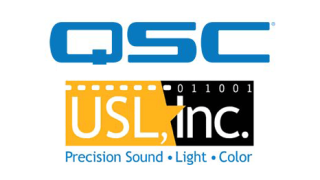 San Luis Obispo, CA-based USL was founded by Cashin in 1982, and has been a supplier of audio signal processing and audiovisual test and measurement products for the cinema and pro AV industries.